Home Apple iPhone Which Apps on My iPhone Have Access to My Photos? 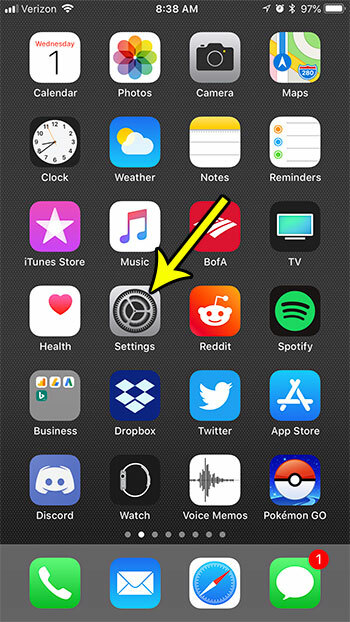 Your iPhone’s apps can share information with one another to help improve the performance of an app. But these apps are separated in such a way that you have control over how these permissions are used. One of the default apps that some apps will want to access is Photos. 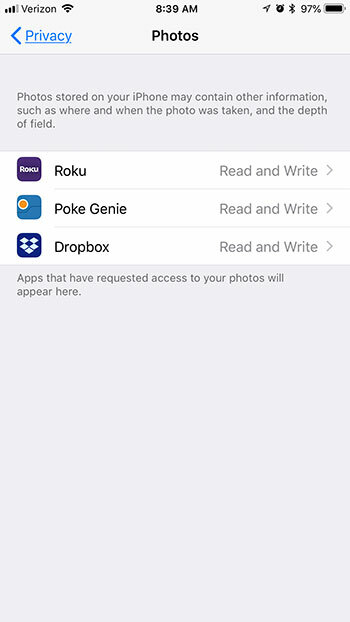 If you have an app that scans pictures, or lets you edit them, then that app will need access to your pictures. But if you have decided that you no longer wish to permit that access, then you have the ability to turn it off. Our tutorial below will show you where to find the Photos permissions on your iPhone so that you can edit them as needed. 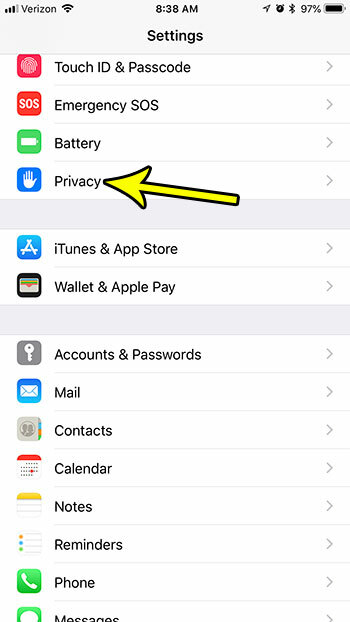 The steps in this article were performed on an iPhone 7 Plus in iOS 11.4.1. 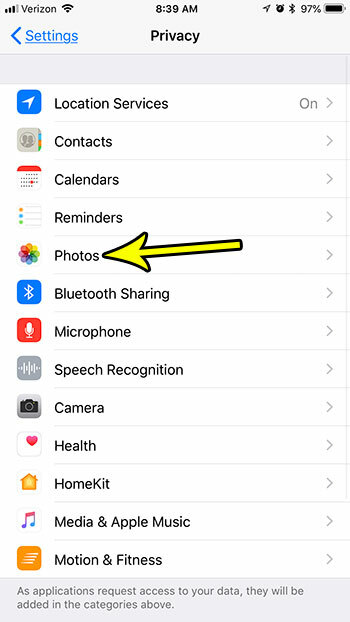 This guide will show you where to see permissions for your iPhone’s Photos app. There you will see a list of the apps that have access to your Photos, or have previously had access to your photos. You can toggle permissions for any of the apps listed here if you would like to grant or remove these permissions. Step 4: Select an app for which you would like to change the Photos permissions. 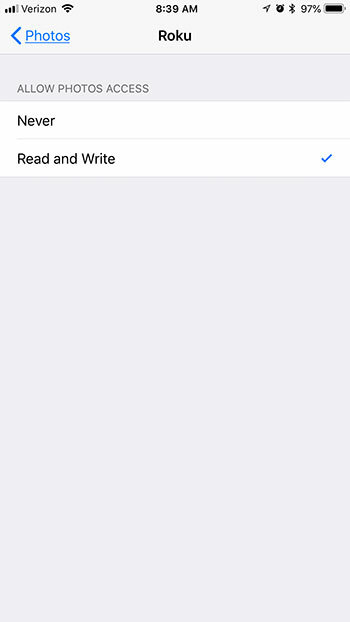 Step 5: Choose the Read and Write option if you want to app to have access to your photos, or select the Never option if you don’t want it to have permission. You can change this setting at any time. Note that some apps will not work properly if you don’t give them permission to access your Photos. Is your iPhone low on storage space, and you are looking for some ways to fix that? Find out about several ways to free up storage space on an iPhone and delete apps and files that you don’t need, or aren’t using anymore.